Today we have a very interesting guest post from Meredith, a linguist who did her M.Sc. in Applied Linguistics and Second Language Acquisition at the University of Oxford. For those of you learning more obscure languages, or simply those who might not be as popular as the more “mainstream” ones, you’ll definitely find this article useful. I hope you’ll enjoy the post, and please don’t forget to comment and share your ideas and feedback with the rest of us! It’s hard enough learning a language, let alone a less commonly taught (LCTL) one. Learn more about the challenge of finding the right materials and new digital tools like Lingua.ly, GLOSS and Declan that can help you overcome it. Attaining fluency in LCTLs like Arabic, Swahili, Hindi, Hebrew and even Korean is often one of the most challenging and de-motivating tasks a language learner ever faces. There’s a reason they’ve been labeled “less commonly taught” and once you set about trying to learn one, you’ll understand just how trying the situation really is. Notwithstanding the complexities of the language itself, difficulties often arise due to a dearth of quality materials, scarcity of learning tools and the reduced availability of classroom and group learning opportunities. A good language learner knows you don’t always need a textbook and teacher to be successful. 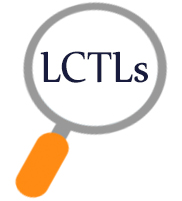 But the problem with LCTLs is it’s hard to get your hands on any materials or direction, let alone quality input that supports your learning. For the most commonly taught languages in North America, extensive research and government funding was invested in understanding how best to teach them in the period following WWII when national security necessitated bilingual spies. Competition for the French, German and Spanish markets drove textbook and dictionary makers to develop higher quality products catering to a wide range of learning styles and integrating modern language theory as it was developed. Our understanding of language instruction has evolved considerably over the past forty years, but most LCTLs were left out of this innovation loop. Want to take a course in Moroccan Arabic? Your textbook was published in the 1960s and lucky for you it is still in use today. Decided to pursue Modern Standard Arabic instead? Scan through your opening vocabulary list in the most widely used MSA textbook in the US and you will find that “the United Nations” and “literature” are among the first words you learn. What ever happened to apple and book? Materials created for LCTLs go against everything we know about best practices for language instruction. They sidestep images and pictures, force pages full of overwhelming target language text on beginner learners, include abstract and obscure vocabulary in their word lists, fill their activities with audio-lingual inspired drills, and completely leave out quality realia. The same book that teaches the United Nations as a chapter one word, offers an obituary page as authentic content to inspire beginner readers to learn Arabic names- motivating isn’t it? Fortunately for the many learners out there interested in pursuing LCTL study, the Internet has arrived to pull instruction and curriculum development out of the dark ages. LCTLs like Farsi, Arabic and Hebrew are experiencing a renaissance of sorts thanks to a host of YouTube teachers and native speaker bloggers and free online dictionaries and learning platforms who have found a way to integrate LCTL support along with solutions for more mainstream languages. For learners disappointed to find Duolingo doesn’t yet support LCTLs, look no further than Lingua.ly. 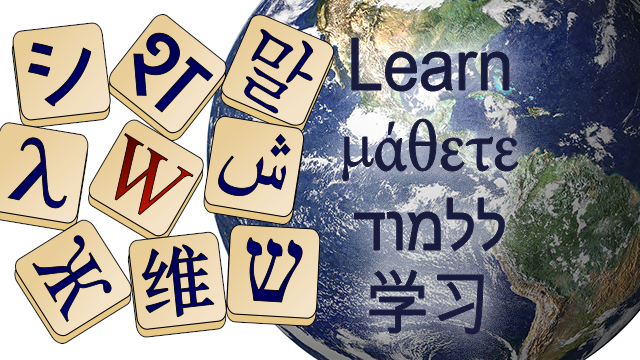 The startup, who just released a mobile app on Google Play last week, has supported LCTLs Arabic and Hebrew from day one on their extension for Google Chrome. Lingua.ly gives you a full dictionary, flashcard and smart spaced review system and a reading suggestion tool that you won’t find anywhere else on the web. If you do manage to enroll in a class, using Lingua.ly to help you learn vocabulary on the side (it supports 20+ languages for flashcards and a number of them are LCTLs) is a great idea. Better still, use the tool to locate those hard to find authentic sources from the Internet. The platform understands your level by the words you look up and finds articles for you to read that contain the right mix of words you’ve already seen and new vocabulary that is within your reach. You can also sort your reading suggestions by genre and trade obituaries in for beauty magazines and articles on green living in the Arabian peninsula. It’s very smart, it helps you create custom flashcards with an image, audio bite and example sentence and to top it all off, Lingua.ly is free. Not surprisingly, less commonly taught languages tend to be strategic for one reason or another and the US government has taken to creating their own resources to ensure learners are properly trained. As a consequence, there’s an excellent free resource called GLOSS available worldwide which provides ready made listening and reading lessons at ILR scale levels 1-3+ (that’s beginner to advanced or A2-C2 in CEFR terms) for a range of topics and every language from Urdu and Pashto to Kurdish and Uzbek. As the US Defense Language Institute developed them to be maintenance materials, they contain layered feedback and scaffolding such as full text translation and vocabulary lists, cultural notes and best of all, authentic sources from the target language media. For LCTL learners who struggle with a new alphabet, Declan Software offers an excellent pay for product that gives your brain a workout and strengthens the visuo-spatial sketchpad which you need to store words before you can decode and read like a native. It’s not great for learning the words themselves as it teaches vocabulary out of context, but it’s perfect as a warm up tool before a lesson to eliminate the frustration of checking back and forth to make sure you’ve copied everything correctly. It works by forcing you to identify the word in receptive and productive domains until you can spell it verbatim when given the English equivalent. Think of it like stretching before you go for a run and try 20 minutes of Declan prior to your next study session to reap the benefits. No matter which tools you choose to help you learn a less commonly taught language, remember that motivation is the best weapon you have in an up-hill battle. Download some catchy target language tunes to listen to on your way to work, get addicted to a mobile practice game like Lingua.ly’s so you keep your vocabulary fresh and sign up for an activity where you learn more about your language’s culture through dancing, cooking or art. If you’re studying an LCTL outside of the country where it is spoken, you will need to be pro-active. Surround yourself with the best materials you can find and start off on the road to fluency, for the thrill and sense of achievement of being one of the few to successfully learn an LCTL will stay with you for the rest of your life. Meredith is a linguist who has spent the last seven years working across the language learning industry in various roles from teaching to curriculum development and teacher-training. She speaks several LCTLs fluently, including Arabic, and did her M.Sc. in Applied Linguistics and Second Language Acquisition at the University of Oxford with a focus on vocabulary strategies for Arabic as a Foreign Language learners. In her previous position, Meredith managed the special projects team at Education First where she led development of the EFTE, the world’s first free standardized adaptive assessment tool and platform. She also holds a B.A. in French language and literature from Georgetown University. This is the most helpful language post I have seen in years. Learning LCTL has provided many hiccups but incredibly rewarding. Thank you for the suggestions and resources. Thanks for posting! I am really looking forward to using lingua.ly to practice my Arabic before I forget all of it!